As per the initial probe reports, the army man was present at the spot of Monday's mob frenzy which led to the loss of two lives including the police inspector. 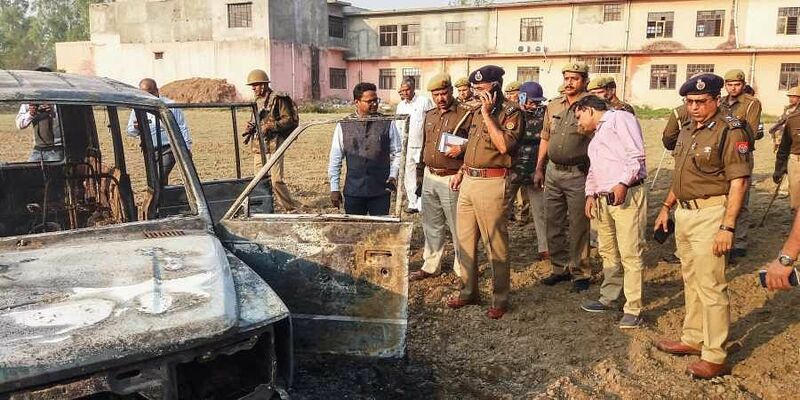 LUCKNOW: The Uttar Pradesh police are on the lookout for a soldier of the Indian Army, who was allegedly seen firing during the Bulandshahr mob violence leading to the death of police inspector Subodh Kumar Singh and a local youth, Sumit Kumar. Footage of the violence shows the soldier named Jeetu, who is from Bulanadhshar, purportedly firing a weapon. A senior police official said it was too early to ascertain if Jeetu had shot the inspector. The soldier is posted with the Nagrota-based 16 Corps. Two police teams have left for Jammu to bring him for interrogation. Army sources in New Delhi said the soldier had been located. “The police are in touch, but he has not been handed over yet,” army sources said. Meanwhile, Additional Director General, intelligence, SV Shirodkar submitted his probe report to the Director General of Police, and it will be handed over to Chief Minister Yogi Adityanath. Sources said the report blames senior police officials in Bulandshahr for mishandling the incident. ADG, Meerut Zone, Prashant Kumar has confirmed Jeetu’s involvement in the incident. The probe team examined 203 video clips to zero in on Jeetu. Kumar said Jeetu is one of the 27 named accused in the case lodged after the incident on Monday. The ADG also said the soldier apparently left Bulandshahr on Tuesday. The accused soldier’s mother Ratan Kaur claimed that her son was posted in Kargil and was not in Bulandshahr on the day of the incident. But his relatives have confirmed that he was, in fact, at home during the violence and left for Kashmir the same evening. Jeetu’s cousin is also named in the FIR. So far four persons have been arrested for the violence, which erupted after cow carcasses were found scattered in a field in Mahaw village. A senior police officer said both the victims had been shot with a.32 bore revolver. However, it is not clear if both were shot with the same weapon or two different guns. The slain inspector was also carrying a .32 bore revolver with him, and it went missing after the incident. The Meerut zone police officials and the SIT probing the violence has released some WhatsApp numbers appealing to the public to share videos related to the incident.